Spoiler alert: there is a little treat for you in this post! Read on, it’s worth it! 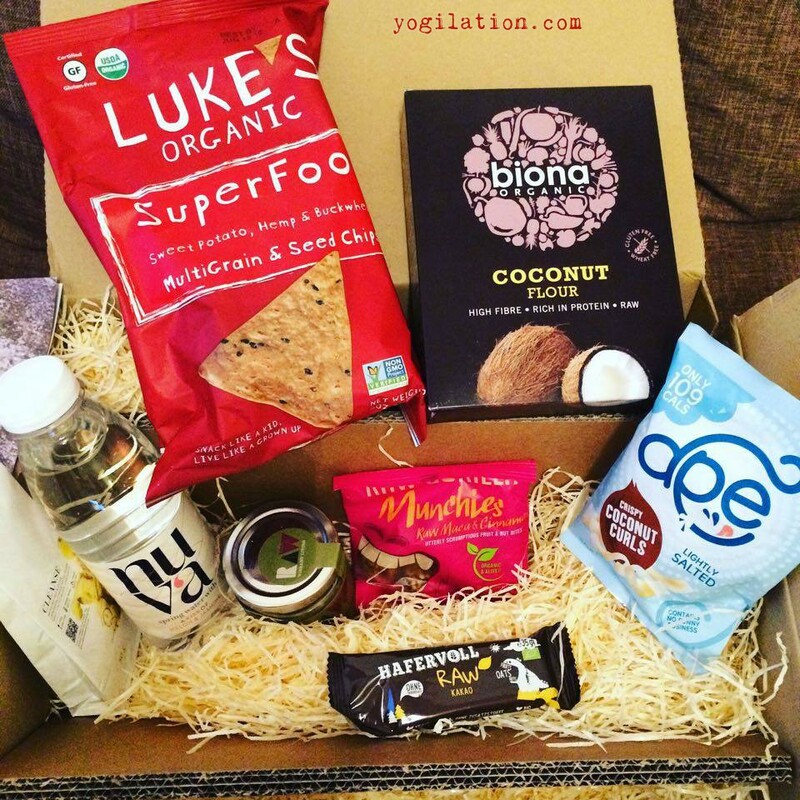 Have you ever wished for a delivery service which brings a surprise box full of the newest healthy foods to your house every month? I got good news for you! This delivery service exists in Germany! 🙂 Foodist is a start up company in Hamburg that offers a “Healthy Box” which I decided to try, because I was tired of walking through my favorite organic grocery stores thinking that I would love to try so many of the new items, but I simply couldn’t because it would’ve been too expensive and I wasn’t able to decide on only one or two anyway. So I found the Foodist Healthy Box and decided to give it a try. It costs almost 27 EUR ($29) but the value of the items of the box is much more, so the box is definitely a bargain in that matter. You can either just order it for the next upcoming month or subscribe to it and get the box each month via free shipping delivered to your house. You can also quit the subscription at any point in time. Welcome to the taste-adventure – try and discover new foods – your taste buds will thank you! Sure, you can argue that the “downside” of it is that you cannot choose the items of the box, so there might be one or two products that you probably wouldn’t have bought for yourself. However, I think it’s actually quite nice because it makes you try and discover new cool things that you would have missed out on otherwise. And if you REALLY don’t like it, then it’s also always a nice gift for a friend or family member. I tried it and it’s one of my favorite teas now! Delicious and very nice for a nice evening on the couch on a rainy November day! Haven’t tried it yet, but I’ll take it to the office tomorrow and report back. Gluten free, high in fiber with quinoa (YAY! ), amaranth, and more .. definitely a healthy alternative to the usual potato chips! Haven’t tried it, but I am planning on baking some coconut chia muffins with that soon! Of course, I’ll share the recipe with you then here as well! Ingredients like sunflower seeds, hemp seeds, sesame, flax, pumpkin seeds, hemp oil, flax oil, and sunflower oil make this a very healthy spread for your oven fresh rolls or bread, or even as a dip for your veggies. Very yummi! I’ve had some in the office as an afternoon snack and the rest as a pre-workout snack for a little energy boost! Absolutely recommendable! I’ll buy them again! A very healthy and crispy snack for any movie night or just on the go. A nice alternative to my beloved kale chips. I will order another Foodist Healthy Box because not only the items are a good selection of different health foods, the value for it is great too!